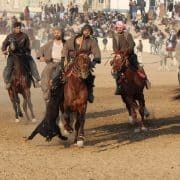 adventure travel Afghanistan Archives | Untamed Borders - Adventure travel..
Kyrgyzstan, an offbeat destination renowned for its trekking and horse riding, is an ideal place to discover nomadic culture at a grassroots level. There are plenty of rarely-visited locales to explore throughout this centuries old Central Asian nation, and our two part trek between Naryn and Osh is one such place. Over thirteen days you’ll traverse your way across the southern corner of the country, through remote valleys, and verdant pasturelands frequented only by the herdsman who dwell there in yurt camps during the summer. 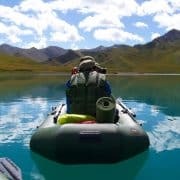 Along with passing by small and remote traditional Kyrgyz villages, and visiting Uzgen (an ancient capital city), another remarkable section of your journey will be paddling across Kel Suu lake located at over 3300m and hemmed in by towering rock walls overlooking the placid alpine blue waters. Explore Kel Suu Lake, one of Kyrgyzstan’s largest and highest natural dam lakes, and also a little-seen corner of the country. Experience traditional Kyrgyz hospitality and ways of life staying in yurts and venturing out on horseback. You will be met by your driver and guide on arrival in Bishkek. If you arrive in the morning there will be time to go on a tour of Bishkek with your guide and to acquaint yourself with the capital city of Kyrgyzstan taking in locations such as the Osh or Dordoi Bazaar, the Central Mosque, Panfilov Park and Ala-Too Square. Afterward you’ll make your way out of Bishkek to Chong Kemin and along the way stop at Burana Tower, a 9th century minaret in the Chuy Valley. Please note, the trip officially starts at 9am on the 20th July 2019. If you arrive before this date or very early in the morning on Day 1, then private transport and a night in a guesthouse can be arranged for an additional US$25 per person. The first stop of the day will be Konorchek Canyon where you will be able to stretch your legs and enjoy a short hike for three hours within striking red sandstone canyons which start out very narrow and then open out to a wide valley. After lunch in Boom Gorge, you’ll head to the town of Balykchy which is on the edge of Issyk Kul, the second largest alpine lake in the world. It’s a great place to go for a quick swim as sometimes temperatures in July can peak at 40°C. We’ll then continue to Naryn City which is the regional capital of the Naryn region. Depending on time you can go for a short walk and see the Naryn River that cuts across the whole of the country. The final stop for the day will be the Char Valley where your hosts will be waiting for you in a hidden valley near to At-Bashy. Departing the valley in the morning you’ll drive through the unspoilt pasturelands of the Bosogo Valley and then cross over the Kaingdy Pass which takes you into the wild Ak-Say Valley. Shortly after entering the valley you’ll cross into the border zone region between Kyrgyzstan and China via a military checkpoint. After lunch you’ll arrive in Kok Kyia Valley where you will meet Meder and his lovely family whom will accommodate you in their yurts for the evening. After breakfast, you will be able to jump on the back of your horse and head to the stunning Kel Suu Lake. The lake is a natural dam lying between vertiginous sharp cliffs and is a picturesque location to have lunch. Make sure to keep your eyes open because there are many birds of prey in this area, as well as ibex, foxes and marmots. In the early afternoon we’ll inflate the rafts and begin our journey by paddling along the lake. At 15km long and only 40m wide at its narrowest point, we’ll drift along its shores which are overshadowed by 800m high cliffs. These valleys are still unexplored and it’s possible to spend a bit of time discovering this area. The aim is to reach the far side of the lake and build a camp near Chong Tash. Please note that Kel Suu lake exists due to a landslide dam (similar to Sarez Lake in Tajikistan) and is primarily fed by meltwater from a glacier above the lake, in addition to rainwater. In July 2018 the lake’s water mysteriously drained away in less than a month. Our local team has been visiting the lake since 2000, and during that time this phenomenon has only happened once before and the lake refilled in a matter of weeks. No one is certain for the exact reasons behind this unusual hydrological event, however, it is believed to be due to an underground collapse. Since the 2018 event the waters have not returned, but depending on the weather conditions over late 2018 and into 2019, we hope the lake to refill. Of course there is the possibility that the water may not return in time for your trip. If it does not, the only impact this will have on the trip is that instead of paddling you will traverse the dry lake bed on horseback and on foot. After an early start you will head towards the little-visited Valley of the Five Boys, which is in close proximity to the Chinese border. If you’re lucky, it’s a great place to spot ibex, Marco Polo sheep and wolves. After breakfast you’ll venture over the Eshegart Pass (3933m) and descend into the Tuyuk Boto Valley. You will be able to see active wildlife in this very remote and wild region. From the Eshegart Pass you will be able to see amazing panoramic views and, if you’re lucky, some wild animals like ibex gallivanting their way across ridges and hillsides. In the late afternoon, you will arrive back at Meder’s yurt camp, where you will be greeted with cups of warm tea and great local dishes. Today we’ll leave behind Meder’s family and depart for Tash Rabat by road via At-Bashi. This will be the last time you see houses and shops for the next few days. After lunch, you will head to a 15th Century caravanserai where you will be greeted at Nazira’s yurt camp. Today will be a challenge. Leaving very early in the morning from Tash Rabat you’ll make your way by car to the Karakol River. The road is fairly rough in a few places so we need a head start in the morning. Once you reach the Karakol River you’ll link up with the local packhorses and herders and commence your trek over to the Karakol Valley via the Kok Bel Pass (3915m). After descending from the pass you’ll build a camp where the valley meets the Arpa Plains. Today you will hike alongside the Fergana Range. It’s important to get an early start today because you have a lot of ground to cover. Today the views will change with snow-capped peaks in the distance and you may see a few yurts dotted in the horizon. It’s quite a contrast from the last days of trekking. It’s possible you might be invited in to one of the yurts for some tea. The shepherds are often surprised to meet trekkers in this area. Later in the day camp will be built near a valley to protect everyone from the strong winds in the Arpa Valley. In the morning you will descend into a lush wooded area rich with pastureland fed by small rivers and lakes. The Kyrgyz here believe that Japaiy Adam, a wild man related to the Yeti, uses this area to migrate between the Pamir and Tien Shan Mountains. At the end of the day you will set up camp in the Jylangash Valley. After breakfast you will commence your difficult ascent over the Chitti Pass (3720m). The small path climbs gradually where you will have a chance to view both sides of the Fergana Range. The climate and the people will change after this pass because you are entering a different region of Kyrgyzstan. You will feel more of a Mediterranean climate and many of the people you meet are of Uzbek ancestry. You will stop beside the Chitti River for the evening. Today you will say good bye to your horses and herders and leave the Chitti Valley. On the way, it’s possible to meet beekeepers and have a sample of the local honey. Once your driver meets you at the end of the trail you will leave the Fergana Range to discover some of the most ancient regions of Central Asia. You will be able to visit the historical complex in Uzgen with its three mausoleums and large minarets from the 11th Century. The final destination for the day is Osh where you will be able to have a famous plov dinner in a chaykhana (café). You will have the chance to visit Osh and summit Mount Solomon and see the 3000 year old bazaar, amongst other highlights in the city. From Osh it’s possible to fly directly back to Moscow or to other parts of Central Asia, as well as continue onward via the Pamir Highway to Tajikistan. You will be accompanied by an international trekking guide from Untamed Borders for the entire length of this trip. *If you need to return back to Bishkek and require a flight back, with an airport collection, and night in a guesthouse then this can be arrange for an additional US$125 per person. If you have any questions about this trip or about Kyrgyzstan in general please contact us. We do not directly arrange international flights to Kyrgyzstan. However, we can suggest routes and operators. You can also contact the Untamed Borders dedicated team at Flight Centre for suggested routes. Visas for Kyrgyzstan can be obtained on arrival for most foreign visitors. If you are based in the UK and require visa advice for other countries, then we recommend Travcour as an agent for your visa requirements. They are UK’s oldest leading travel visa specialist and are able to provide full visa support and consultancy for Untamed Border’s destinations. They are the people we use when we need visa support for our staff. In Kyrgyzstan three meals are provided each day and this is included in the cost of the trip. If you have particular preference for trekking snacks, such as energy bars/gels, then you will need to bring your own supply. We do not and cannot offer a uniform accommodation standard on our itineraries. Even if we wanted to, the reality is that standards in Bishkek cannot be compared to a home stay in an isolated valley in Kyrgyzstan. We consider comfort, location, design, character, historical interest and whether the money we spend will go into the pockets of the local community when we make our choices of where to stay. The accommodation will be based on 2 people sharing a room when that is available. When we are in the mountains we will be staying in tents and in local home stays that sometimes only offer central communal areas to sleep in. When we choose our vehicles and drivers we take into consideration the road conditions, the length of journey and the competence of the man behind the wheel. We will only be travelling by four-wheel drive vehicles. Your comfort, enjoyment and safety of the journey is the first priority. On this trip you will be accompanied by an experienced international trekking guide from Untamed Borders plus local guides. This allows for greater flexibility and means that there will always be someone on hand to help or assist you even if the other team leader is busy making arrangements. Kyrgyzstan is a safe and stable Central Asian country. Nevertheless we listen very carefully to advice from the foreign office and from our friends in the areas we visit. Our client’s safety is our primary concern. We must state that the tour leader has the final word with regards to changes in the itinerary for safety reasons. Whilst the route we have chosen passes through areas which are stable things can change and we may have to alter the route or cancel sections of this trip at short notice. 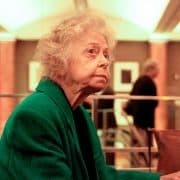 Nancy Hatch Dupree, affectionately known as the ‘Grandmother of Afghanistan’, passed away on Sunday 10th September at the age of 89. Sharing a kebab and a cup of green tea with Nancy was always a highlight of a visit to Afghanistan. Always illuminating us with talks of her travels around the country. A personal hero of our founders James and Kausar, she was always very supportive of what we were doing in Afghanistan. That has always meant a lot to us. Following our successful Autumn trip to Afghanistan we now offer a fixed date journey in Spring. This 15-day trip travels through the best bits of Afghanistan in the lushest time of the year. The blossom is out and the country is at its greenest. In January this year we guided Northern Irish travel blogger Jonny Blair to Mazer e Sharif and Balkh. Check out his trip report including lots of great photographs here. Back in August we guided a private guest to Mazar e Sharif and Bamian in Afghanistan. He was pretty handy with a camera and took these shots, see here. In 2012 we took UK based photographer James Robertson on our annual ski trip to Afghanistan. 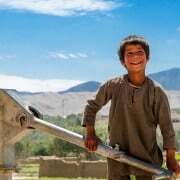 His stunning photographs of the emerging ski culture in the Bamyan were published online on National Geographic’s Proof – Picture Stories. Feeling inspired? 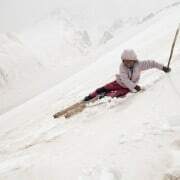 Join our Ski Afghanistan trip in February 2016! 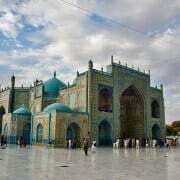 We start in Kabul before crossing the spine of the Hindu Kush through the Salang Pass to Mazar e Sharif to see the blue-tiled shrine of Hazrat Ali and the remains of the once great Silk Road city of Balkh. Then we will move on to Bamian where we spend three days exploring the valleys, the Buddha niches and the lakes of Band e Amir. It is an area that allows us to experience what life is like in rural Afghanistan in safety. Finally, we will take a short flight across the Hindu Kush to Herat, the most architecturally complete city in Afghanistan. Arrival and briefing. For those who arrive early, we will have time to take an afternoon tour of the city. This will include a visit to the hills of Bibi Mahru, the remains of Darulaman Palace and a visit to the Kabul Museum. 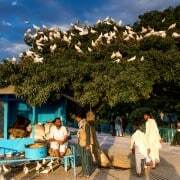 A morning in Kabul to visit places such as the British cemetery, the bush bazaar and Babur’s Gardens. Then fly to Mazar e Sharif. 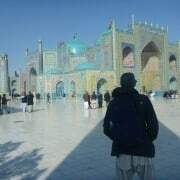 You will have time to visit the majestic blue tiled tomb of Hazrat Ali, Afghanistan’s most important religious site. You will spend part of the day visiting the ancient Silk Road city of Balkh, called Bactria to the Greeks. Bactria was the birthplace of Zoroaster, the founder of Zoroastrianism as well as Rumi the legendary Persian poet. The legacy of its Islamic and Buddhist past can be found in the stupas at the entrance to the town, at the blue tiled shrine of Khoja Parsa and at the oldest mosque in Afghanistan, the 9th century No Gombad mosque. A day trip to the Buddhist monastery remains at Samangan, two hours drive south of Mazar e Sharif. The 1500-year-old complex contains a huge stupa carved out of the bedrock as well as a number of caves used as places of worship. Early morning flight from Mazar e Sharif to Kabul. Day in Kabul to visit the sobering OMAR landmine museum, Shah-e Doh Shamshira mosque and the Murad Khane district of Kabul. We will fly back to Kabul, taking the opportunity to visit any sights we may have missed on the first day in the Afghan capital. We will fly back to Kabul and ensure that you get to see anything you may have missed on our earlier visits as well as ensuring we take a trip to Chicken Street to pick up any last souvenirs.